On Monday, I experienced one of the greatest privileges of my tenure as State Superintendent. 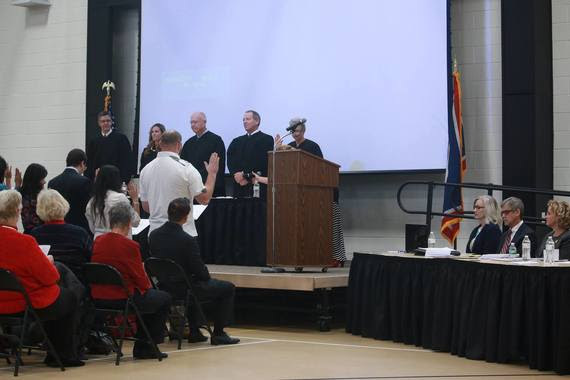 I was the speaker at the naturalization ceremony for ten new United States citizens who reside in Wyoming. It was held at Meadowlark Elementary School in Cheyenne and the entire student body of 5th and 6th graders attended. Meadowlark’s choir sang and the band and orchestra performed (good job Jack Balow). 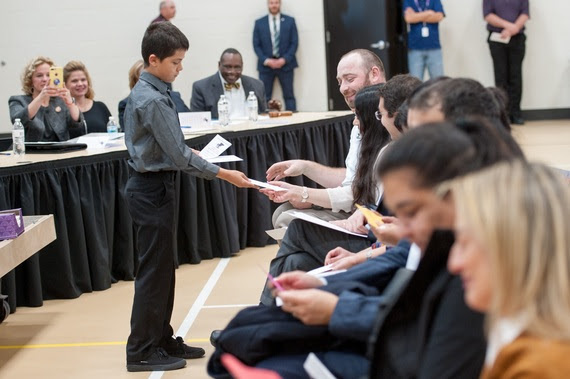 It was moving for everyone and I am grateful to the Honorable Judge Nancy Freudenthal for asking me to speak and to Principal Jim Fraley for including the students. It was a moving experience for all. The WY-TOPP interim assessment window opened on October 23. To date 40 of 48 districts have accessed the interim assessment. The feedback has been positive and we have resolved tech and other issues within one day. The only way we are able to achieve success with WY-TOPP is through the ongoing collaboration between districts and the WDE. Your tech and assessment coordinators have been engaged with this process worked in partnership with WDE from the beginning and it is deeply appreciated! Many educators expressed an interest in participating on the accreditation task force. Your willingness to serve strengthens our ability to ensure that the new accreditation structure reflects both the needs of school districts and the requirements in statute. Thank you. We have selected the accreditation task force and will set up meeting dates soon. As a reminder, Wyoming will change the process for accrediting schools beginning SY18-19. This is based on financial constraints as well as feedback from school districts. Click here for the recent accreditation memo. I look forward to seeing many of you next week at your meeting held in conjunction with the WSBA conference and JEIC. Additionally, I’ll attend UW Board of Trustees and State Board meetings and speak at the Casper Chamber of Commerce luncheon. It will also be an honor to help the Casper Rotary pass out dictionaries to students. My Chief of Staff, Dicky Shanor, will update the University of Wyoming Board of Trustees on computer science and Chief Academic Officer, Brent Bacon, will attend the Council of Chief State School Officers (CCSSO) in St. Louis on my behalf. Indeed, it’s a busy week. Representing the great work in classrooms across the state is my most important responsibility no matter the event.